Auto Randomizing Algorithmic Reverb PlugIn "BREEZE" from 2CAudio. 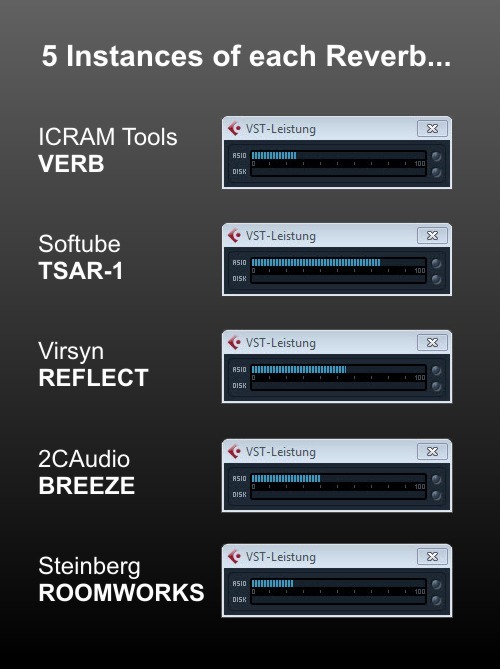 Windows VST & RTAS*, and OSX Audio Units, VST, & RTAS*. No Key. It the "little cousin" of the well known AETHER. How to listen to the demos? The voice shows the room in a good way, because we are used to judge a room with voices. You can check the fade out of the reverb with the percussion instruments. If you have more echos than a natural tail than either the preset is bad or the reverb itself. The Violin and the Accordion can nicly show the roomfeeling. Is the instrument removed from the reverb? 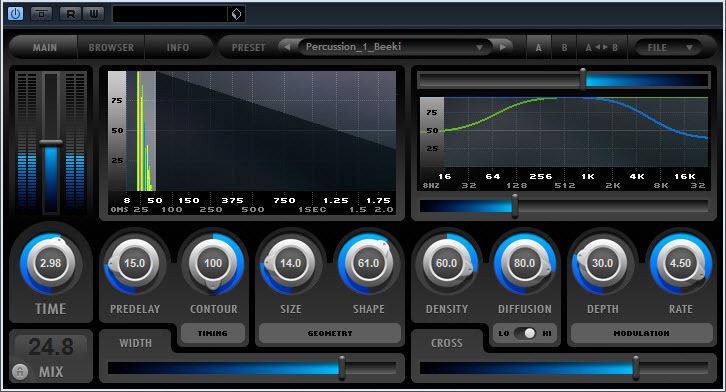 With the Organ you can check the naturalness of the fade out from the reverb (or if you want of the preset). The Piano is a percussive instrument once more. How does the reverb fade out with the final note? First, listen to the dry audio demo! Now you will hear the dry demo above with several Factory Presets. 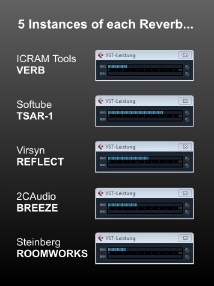 BREEZE comes with a lot of different factory presets. All of them are very useful or also good as starting points. The reverb can produce warm and dense reverbs. Maybe it is the ER section (can generate a lot of different situations) which gives this Reverb a very spatial transparency. Perhaps it is the modulation of the reverb signal which helps too. The reverb seems to be removed from the signal in most cases. This fact leads to the nice and spatial transparency. The possibility "cutting frequencies" either the high ones or the low ones (or both of them) helps as well to form the reverb signal so that you never have a thick and muddy tail. BREEZE seems to use a bit too much CPU-Power at the moment. So after 3-4 instances is no more space for a lot of other effects on a common system. Hopefully 2CAudio can still bring down it a bit.